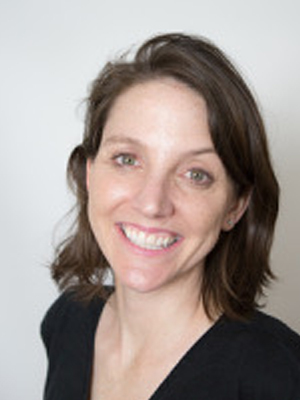 Cathy Vaughan is a senior staff associate at Columbia’s International Research Institute for Climate & Society, where she has worked since 2008. She is also completing doctoral studies at the Sustainability Research Institute of the University of Leeds, where she conducts research on climate service evaluation and on the governance structures that support climate services. Cathy previously served as the program manager for the Climate Services Partnership, an informal interdisciplinary network working to improve the use of climate information for societal decision-making around the world. In this capacity, Cathy facilitated virtual and in-person collaboration to improve the practice and performance of climate services — leading a range of communication efforts; supporting working groups on ethics, evaluation, and research priorities; and organizing the first four International Conferences on Climate Services. Cathy also served as IRI’s regional coordinator for Latin America and the Caribbean, and as program coordinator at the Global Roundtable on Climate Change. Before coming to Columbia, Cathy worked with the Permanent Mission of Dominica to the United Nations, the Austin Chronicle, and the New York State Department of Health. From 2003 to 2005, she served with the US Peace Corps in rural Zambia. Cathy has master’s degrees in International Relations (Yale 2007) and Climate & Society (Columbia 2008); her undergraduate degree was awarded with High Honors from Swarthmore College.